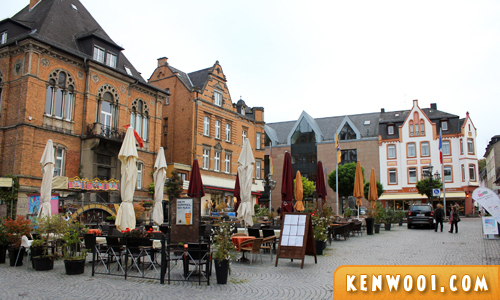 Germany was the third destination during our Europe Taster Tour with Expat Explore. To be exact, it’s not the usual known cities such as Berlin, Munich or Frankfurt. Instead, we visited a little town called Rhine Valley. It’s probably the least known place to us throughout our Trip of a Lifetime. Rhine Valley is known as the most concentrated stretch of castles in Europe, and it features vineyards on mountain slopes. It’s definitely a unique adventure together with the Paris and Swiss Alps experiences. We were supposed to stay in Rheinlust Hotel (stated on the tour leaflet), but we were assigned to stay in a guesthouse right behind Rheinlust. 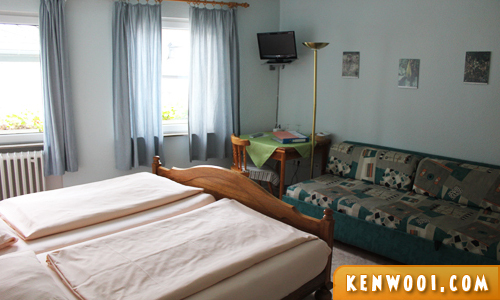 The guesthouse is called Bei Schinderhannes und Julchen. It’s quite homely and somewhat a simple place to stay at. We’d definitely prefer to experience Rhienlust, but I guess it was probably full-house. 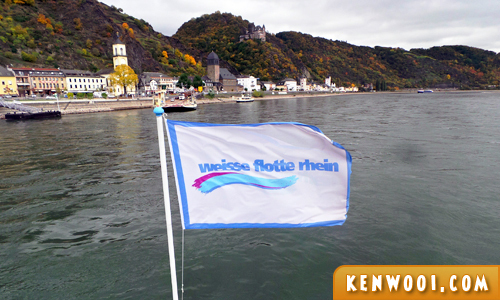 Anyway, upon arriving at Rhine Valley, we went on a Riverboat Cruise along the Rhein river. 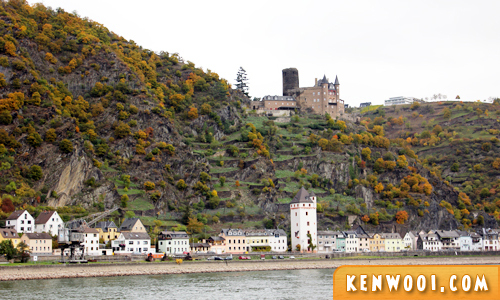 During the cruise, a narrator shared stories of the castles along the mountains. While some have been converted into hotels, many of them remain in ruins since they were abandoned long ago. 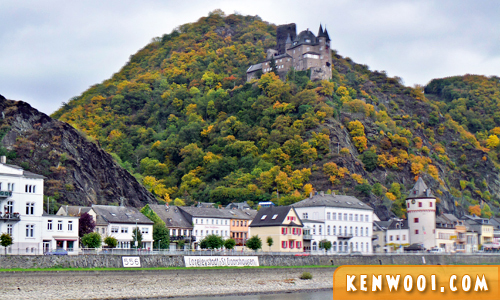 There are several castles at almost every hilltop and pretty villages lining the river banks on both sides of the Rhein river. We also got to see plenty of vineyards throughout the cruise. 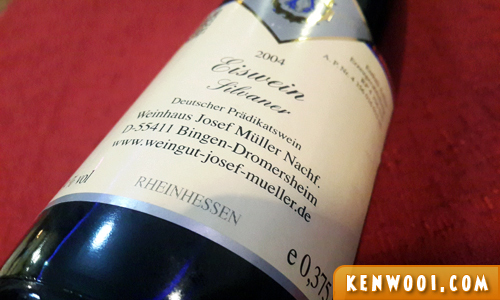 It is the many sources for the exquisite tasting wines produced in Germany. The vineyards are on steep slopes, hence harvesting is performed by hand. Machines and equipment are unable to function along such a terrain. 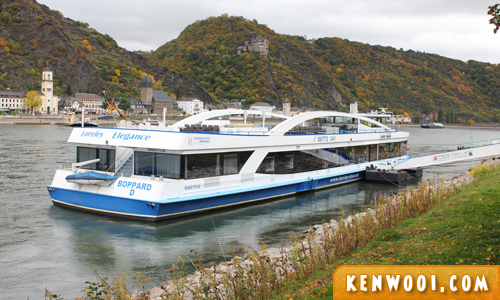 The river cruise was about an hour long before we arrived at our hotel in the little town of Boppard. After checking-in to Bei Schinderhannes und Julchen guesthouse, we headed out for a walking tour with the tour group around the medieval town. 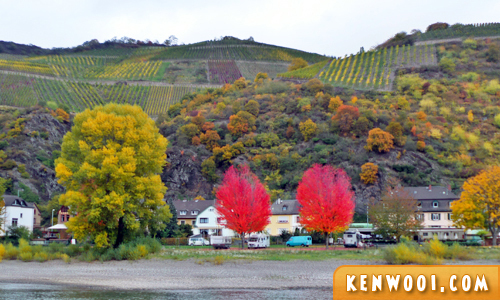 By the way, Boppard is recognized as a tourism resort and a wine-growing center. 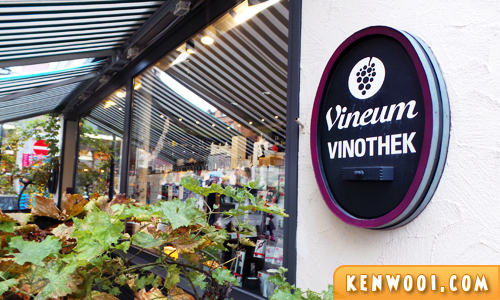 We were strolling about the town center looking for souvenirs and more importantly… for a wine-tasting session at a local wine-house, Vineum – Die Vinothek. 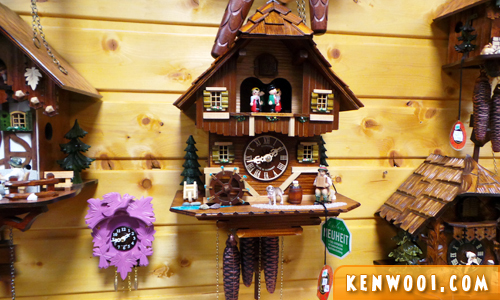 Germany is known for its cuckoo clocks and Birkenstock sandals – but we didn’t get any of that. On a tight budget! At the wine-house, we were given 4 different types of wine to taste; 2 normal (red) wine and 2 ice wine. 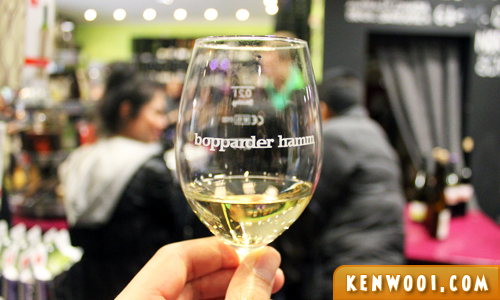 I have always had a “not-so-good” impression of wine – because they taste really… bad? 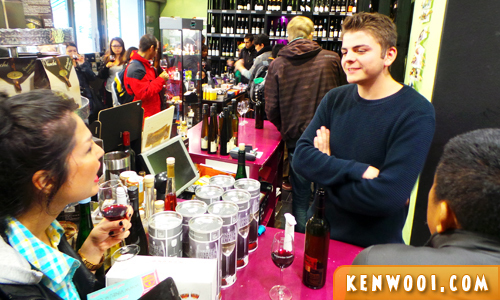 But this wine-tasting session at Vineum – Die Vinothek changed my perception towards wine entirely! Damn, we enjoyed the ice wine’s sweetness so much so that we just had to buy one back to Malaysia! A bottle of it costs €30 (RM135). It’s definitely not something we’d normally purchase. Mainly, because we don’t drink. Yet we couldn’t miss out on this great opportunity to savour the sweet and wonderful taste again. Upon returning to Malaysia, the bottle was kept chilled in the fridge. We weren’t sure when will we be drinking it initially. But then we decided to ‘officiate’ it during the New Year’s Eve of 2016. Woohoo! 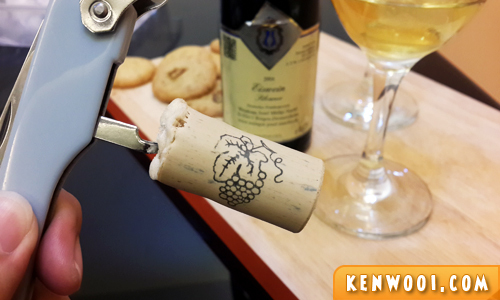 On a related note, it was my first time opening a corked bottle and it took us 20 minutes (AND 2 Youtube videos) to finally remove the stubborn cork. Hmmmm, wine wine wine. The elixir of life. hahahaha~ Loving Germany, so nice!